To get all the news, reviews, previews and more about your favourite character; click each character’s picture and navigate direct to the appropriate content on our site. Please comment and let us know if you would like to see additional characters added. ● Superman –All your news for Clark Kent, Kal-El, the Man of Steel, who was sent from a dying planet, Krypton, to earth as an infant. ● Superboy –All your news for Superboy, Superman’s cloned son from the future. ● Supergirl –All your news for Supergirl, Kara Zor-El, Superman’s cousin from Krypton. ● Batman –All your news for Batman, Bruce Wayne, the billionaire vigilante and world’s greatest detective. ● Robin (Damian) –All your news for Robin, Damian, Batman’s son and sidekick. ● Batgirl –All your news for Batgirl, Barbara Gordon, Batman’s ally and daughter of Gotham Police Commissioner James Gordon. ● Nightwing –All your news for Nightwing, Batman’s ally and former Robin. ● Batwing –All your news for Batwing. Son of Batman’s Lucius Fox, Luke Fox has taken up the mantle of Batwing after David Zambive’s retirement. ● Batman Beyond (Terry) –All your news for Batman in the year 2022. Bruce Wayne’s biological son, Terry McGinnis takes up the mantle of the bat in Gotham’s crime-ridden future. ● Batwoman –All your news for Batwoman, Katherine “Kate” Kane, ally of Batman and former lover of Gotham PD’s Renee Montoya. ● Red Hood –All your news for Red Hood. After his “death” at the hands of The Joker, Jason Todd was reborn as Red Hood and now leads a trio of masked vigilantes known as The Outlaws. ● Green Lantern -Hal Jordan –All your news for Hal Jordan, the second Green Lantern. 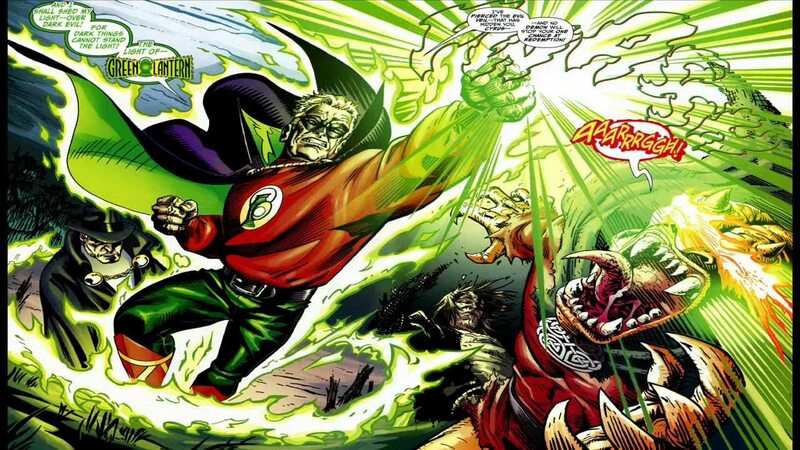 A second generation test pilot, Hal was given the power ring and lantern by a dying alien. ● Green Lantern –John Stewart –All your news for John Stewart, an architect from Detroit who was selected by the Guardians to replace the comatose Guy Gardner as the backup Green Lantern for Hal Jordan. ● Green Lantern –Simon Baz –All your news for Simon Baz, a Lebanese American from the suburbs of Detroit and the latest earthling to wear a power ring. ● Green Lantern –Guy Gardner –All your news for Guy Gardner, an ex-cop and second human to become a Green Lantern. ● Green Lantern –Kye Rayner –All your news for Kyle Rayner, a former freelance artist who was given the last power ring by Ganthet, the last Guardian of the Universe. ● Green Lantern –Alan Scott –All your news for Alan Scott, the first Green Lantern and founding member of the Justice Society of America. ● Aquaman –All your news for Aquaman, Arthur Curry, the telepathic Atlantean ruler of Earth’s oceans. ● Aqualad –All your news for Aqualad, Garth, the boy with purple eyes who is prophesized to bring an end to Atlantis. ● Aquagirl –All your news for Aquagirl, Tula, another Atlantean and Aquaman’s ally. ● Wonder Woman –All your news for Wonder Woman, Diana of Themyscira, the demigoddess daughter of Queen Hippolyta and Zeus. ● Green Arrow –All your news for Green Arrow, Oliver Queen, the billionaire idealist who struggles to reconcile his efforts to bring criminals to justice with his own lawlessness. ● Flash –All your news for The Flash, Barry Allen, the fastest man alive and founding member of the Justice League of America. ● Kid Flash –All your news for Kid Flash, Bart Allen, the boy from the 30th century and descendent of Barry Allen. ● Hawkman –All your news for Carter Hall, the archaeologist who was granted flight, strength and a living armor to fight alien and mystical threats as the Savage Hawkman. ● Hawkgirl –All your news for Hawkgirl, the mysterious hero whose revamped origin is still unclear. ● Firestorm –All your news for Firestorm, the high schoolers Ronnie Raymond and Jason Rusch with the ability to rearrange the atomic and subatomic structure of inorganic matter. ● Cyborg –All your news for Cyborg, Victor Stone, the half-man, half-machine hero and key member of the Justice League of America. ● John Constantine –All your news for John Constantine, the Brit-punk occult detective and world-class conman. ● Red Arrow –Once Green Arrow’s sidekick, Roy Harper joined the Outlaws to fight alongside Red Hood and Starfire. ● Huntress –All your news for Huntress, Helena Wayne, the daughter of the Batman and Catwoman of Earth-Two, who, along with Power Girl, were mysteriously hurled into the main DC Universe after a battle with Darkseid’s minions. ●Katana –All your news for Katana, the superb samurai who uses her katana, The Soultaker, to fight evil. Currently a member of the Birds of Prey, Katana can communicate with the souls of her vanquished enemies that live inside her sword. ● Martian Manhunter –All your news for The Martian Manhunter, J’onn J’onzz, who was stranded on Earth. J’onn now serves as a member of Stormwatch. ● Black Lightining –All your news for Black Lightning, Jefferson Michael Pierce, a teacher and Olympic medal-winning decathlete who fights for justice with his electricity-based powers. ● Blue Devil –All your news for Blue Devil, Daniel Cassidy, the stuntman and special effects master who became stuck in the exo-suit he created for a movie called The Blue Devil. ● Starfire –All your news for Starfire, formerly warrior princess Koriand’r of the destroyed planet Tamaran. ● Swamp Thing –All your news for Swamp Thing, Dr. Alec Holland, who reluctantly became the plant/human hybrid in order to save the love of his life from The Rot. ● Booster Gold –All your news for Booster Gold, Michael Jon Carter, an embarrassment and failure in his home time period of the 25th Century who traveled back to the present to become a hero. ● The Phantom Stranger –All your news for The Phantom Stranger, the mysterious and all-knowing being who only appears when critical events necessitate his involvement. ● Doctor Fate –All your news for Doctor Fate, Khalid Ben-Hassin, Sorcerer Supreme of Earth. ● Red Tornado –All your news for The Red Tornado, the powerful android whose body is still under construction in Tokyo, Japan. ● Static Shock – DC Comics’ Static Shock! Static uses his power over electromagnetism to fight bad guys. ● Talon- DC Comics’ Talon! Calvin Rose, a master escape artist, uses his talents to escape those who would ensnare him.